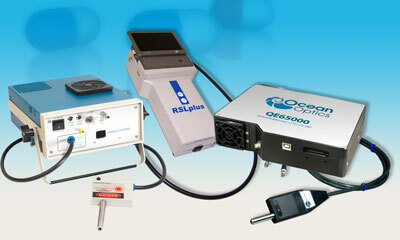 Miniature spectroscopy pioneer Ocean Optics has enhanced its line of Raman offerings with the addition of new options for handheld, laboratory and educational applications, with retail pricing on some Raman analyzer models reduced by up to 40%. nanoTox, the first company to provide complete risk analysis and profiling exclusively for nanoparticles, announced today that Professor Michael Depledge has joined its Scientific Advisory Board. SmartKem Ltd, the developer of novel materials and processes that create high resolution microelectronic components directly onto thin flexible materials, today announces the launch of its new website. The principal goal of the centre: easier and faster integration of the Company's leading-edge nanomaterials into Asian customers' microelectronic production and packaging processes. Tronics, a leading global, manufacturer of integrated custom MEMS components, and Si-Ware Systems, an analog and mixed-signal ASIC solutions provider, today announced their partnership agreement for the development and commercialization of MEMS gyro sensors based on Tronics' custom gyro transducers and Si-Ware's electronic interfaces solutions. First commercial application of Baytubes carbon nanotubes in Japan. New dispersion technology enables the full utilization of the electrical and thermal conductivity of carbon nanotubes. Dialog raises level of power management integration to address needs of future portable devices such as smartphones, ebooks, netbooks. A workshop on aberration corrected electron microscopy was sponsored recently by Carl Zeiss at Harvard University. The workshop attendance was unexpectedly high. Organizers had to move the roughly 100 attendees to a much larger lecture hall than originally planned. Thermo Fisher Scientific Inc. has launched the Thermo Scientific Lumina, a new research-grade dual-monochromator scanning fluorescence spectrometer that offers a new level of clarity in fluorescence measurement. Process choice and architectural unification lowers total power consumption by 50%, increases capacity by 2x and drives down costs while improving designer productivity. Rite Track, Inc., a leading semiconductor equipment supplier based in West Chester, Ohio announced today that it has signed an agreement to act as the sole distributor for Expertech diffusion furnace products, parts and services in Asia. Ahead of the Printed Electronics Summit on May 10-11, delegates have begun registering from 3 different continents, and the show is ramping up to be a collection of all the leading executives in the printed electronics industry. The focus? Commercialization today. Bruker AXS Microanalysis GmbH announces the change of its name to Bruker Nano GmbH with immediate effect. Olympus has introduced a new, highly versatile, range of cutting-edge research microscope systems. Ecology Coatings, Inc. today announced it has developed bio-based materials for use in a new family of EcoQuik UV-curable coatings.